Old building of two floors, tumbled and preserved for historic monuments, with 69 rooms, measuring approximately 14sqm each room. We offer 2 shared rooms with 4 beds in each room and shared bathroom. 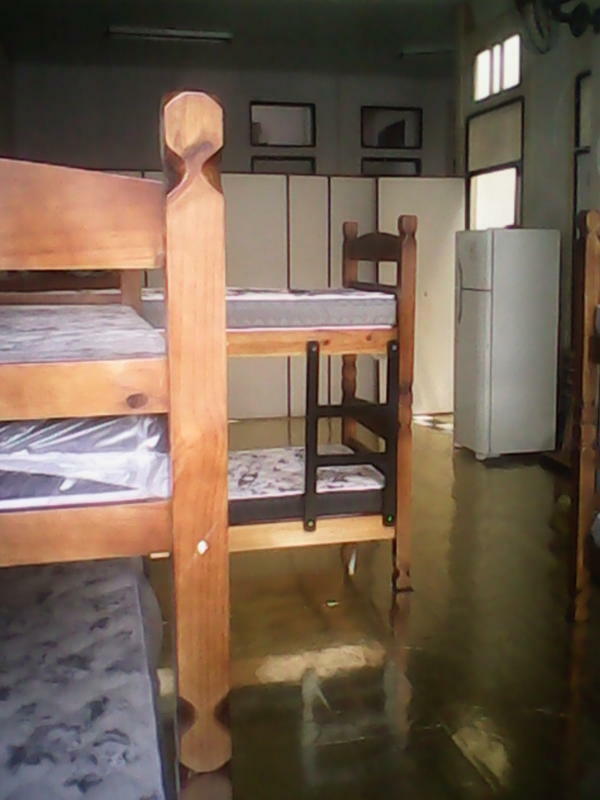 Simple accommodation with a good price. Kitchen available for use by guests. We do not accept payment by credit card. Coming from the South Zone jump on the 2nd bus stop after passing through the arches of Lapa Men at Avenida de Sá. Coming from the North Zone, skip 2 bus stops before arriving in Arches of Lapa, coming by Rua Riachuelo.